I'm active and take on sports with intensity, so I look into all aspects of my life for better performance. That's why I looked for the best mattresses for athletes, which helped my sleep AND reduced pain in the long run! I know how difficult finding a good mattress is like, especially for athletes. That's why I did the research and reviews, so read on! How to Choose the Best Mattresses For Athletes? Did you know that sleep deprivation reduces reaction times in a wrong way? Lack of sleep causes fatigue, which affects the way you think and the quick decisions you make. After all, an athlete can't spare even a millisecond to react to hits and shots. With quality sleep, you are mentally prepared and give your all during the game. You'll have the ability to focus and concentrate better. A study from the University of California shows that injury went up when sleeping for six hours or less. Fatigue reduces our mental preparation. This is because an athlete won't react as fast to accidents and hits. Also, less sleep weakens the immune system, which protects your body. As a result, it makes one more susceptible to illnesses and muscle/cell regeneration. Proper sleep can lessen the risk of getting sick or hurt before, during, or after a match. It also helps with full recovery and a better mood to train or play. Of course, your body requires rest after an intense day of training or games. And what better way to recover and improve your muscles than to sleep and rest? Yes, getting deep sleep on a quality mattress helps. The amount and quality of sleep athletes affect their performance before, during, and after training. The ordinary person requires between seven to nine hours of sleep. BUT, athletes need more than that, usually getting up to ten hours. A study shows that getting around ten hours of sleep a night has helped tennis players with accuracy. Sleep also helped improve mood, alertness, and performance for Stanford's swim and basketball teams! Of course, it isn't only about getting enough sleep, but the deep sleep with the best mattresses for athletes. Having the proper to sleep on (aka a good mattress), helps lessen pain, too. That's thanks to its contouring feel, which target pressure points. As a result, your deep sleep and quality mattress improves the way you feel and perform as an athlete. The best mattresses for athletes improve sleep quality because of its comfortable and supportive feel. It has you sleep longer and with fewer chances of waking up in the middle of the night. Your mattress needs to have enough support, with the perfect balance of plush and firm. This helps relieve pain and pressure around your muscles. That's why I recommend that you get a mattress which conforms to your body's shape and weight. If you're not sure where to begin, get a mattress tagged with the universal comfort. Usually, these mattresses come in a level 5-6 firmness (with 1 being the lowest and 10 being the highest). That way, the mattress can target your body's specific pressure points. This helps the muscles recover and develop better. If you sleep hot or suffer from night sweats, then I recommend that you get a gel or latex mattress. This is a suitable type of cooling mattress which helps regulate body temperature and stays cool. That way, you're comfortable and wake up without sweating or from the heat! It's crucial to invest in a mattress with the quality materials for easy care and maintenance. With that said, get a product made of a hypoallergenic filling and cover. It's excellent for sensitive sleepers and for your mattress to avoid collecting too much dust and bacteria (which cause allergies!). How big do you need your mattress to be? It's best to have an option that fits your room and frame so you won't have a problem with space. It should also have the ability to carry you well without sinking too much. The average price range of the best mattresses for athletes ranges between $700 to $1,200. While it may be pricier for some, the benefits reap in the long run, and you get what you pay for! Find out what you can afford (without scrimping) and start your search based on your budget! Keep a consistent sleep schedule with ten hours of sleep a night, as much as possible. Like how you train, it's best to track your sleep as you do with your performance. It helps you know what to improve on or what to change to help sleep better. Log in how many hours you slept, how you feel, and if you have better or worse energy while training. Prepare the sleep-conducive environment by removing clutter and having a comfortable bed. Drop the temperature, play calm music, and follow a relaxing routine. It will help you sleep faster. I recommend that you do NOT use any gadgets four hours before bedtime. The blue light from them affects your melatonin production. Also, the stressors can hinder sleep, causing more anxiety than calmness. It's the top choice for athletes to relieve muscle pain and pressure. The king size is a few inches shorter. The Bear Mattress is made for athletes for all the features packed in one. You'll be impressed with the way it improves muscles and lessens pain at such a quick time. This is the top choice and made for athletes taking up any sport because of these advanced features. It's made of four types of foam, with the memory foam technology for the quick response and cooling properties. It also has celliant technology, which is proven to improve athletic performance AND relieve muscles. There was a bit of smell when I first received it, which was typical for most mattresses. But after the odor disappeared, there were no more issues, and I managed to sleep without discomfort. After a few weeks, I noticed that I slept without pain and for more extended hours. The mattress has everything you need for sleep and pain relief. It doesn't only help with muscle recovery, but also improves rest and keeps you cool. With all that in mind, it's definitely worth the long-term investment. Help reduce pressure points and pain. Bigger people may feel like the width is too thin. For those who suffer from night sweats and hot flashes, I like the Layla Sleep Memory Foam Mattress. It's made with a copper-infused cooling system which helped with breathability and support. It even had the thermogel-infused cover for temperature regulation! Besides the cooling and breathability, it also had the best support. It isn't a miracle worker (not as pain relieving as the editor's choice) but still performs well. It's made for any foundation and any sleeper, as you can select your own firmness level. While I still have a bit of back pain when I wake up, everything else, including my sleep, improved. 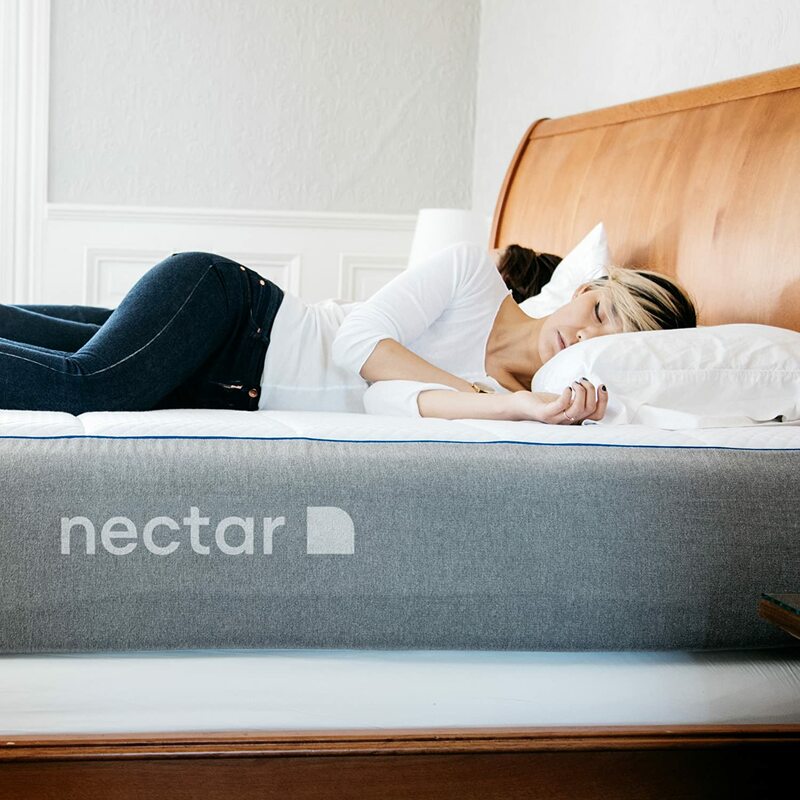 An excellent investment for hot sleepers, you'll experience less sweating and cooler nights. It might be too firm for some sleepers. I know how expensive mattresses for athletes can be, but you don't need to overspend! 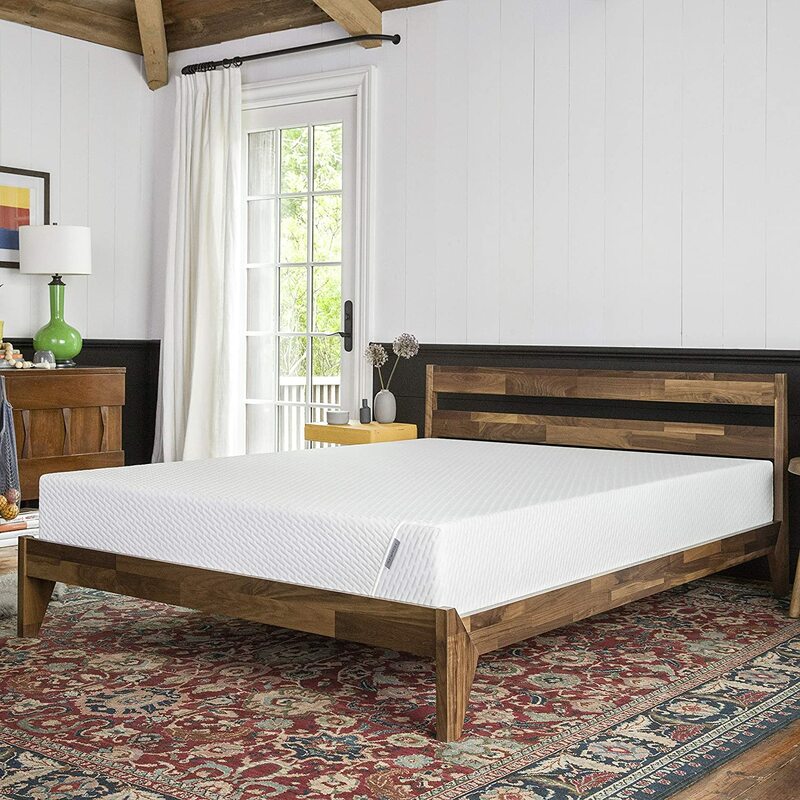 If you need something more affordable, you should get the Tuft and Needle Mattress. While it's cheaper compared to other mattresses I tested, it still performs well for the price. It's made of the adaptive foam, a mix of latex and memory foam for better contouring. It's also cooling, which makes it supportive and cooling enough for good sleep. I notice that while there's still some pain around my back, it's duller than before and will disappear in time. BUT, do take note that it isn't the most durable, being prone to dust and damage! It can last for years, as long as you care for it well. In spite of that, you still get a sound investment, meant for those on the right budget. Universal support meant for any type of sleeper. 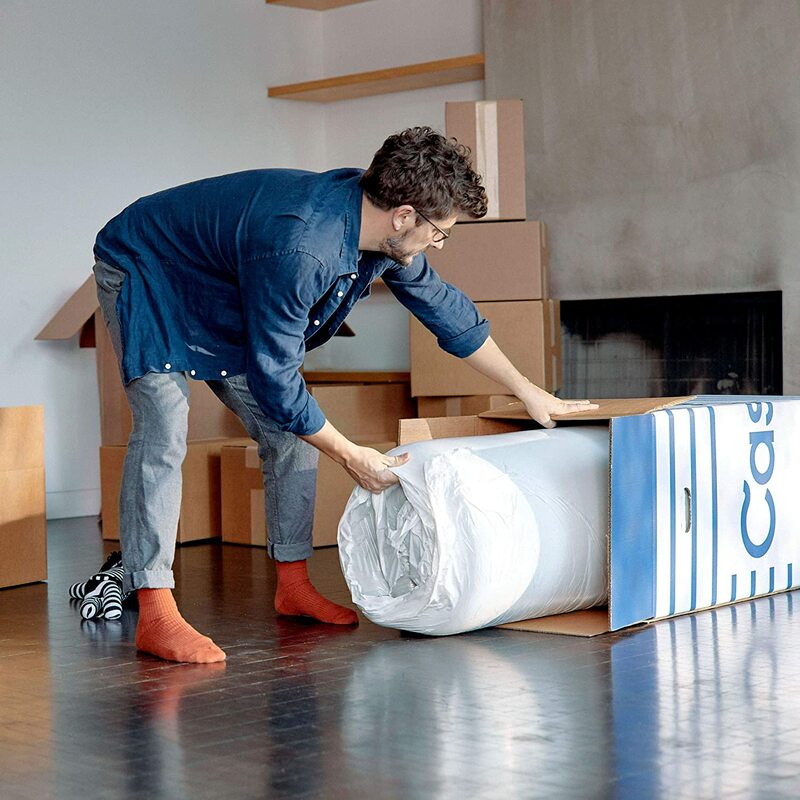 The Casper Sleep Memory Foam Mattress has a more expensive price tag, but believe me, it's worth it! 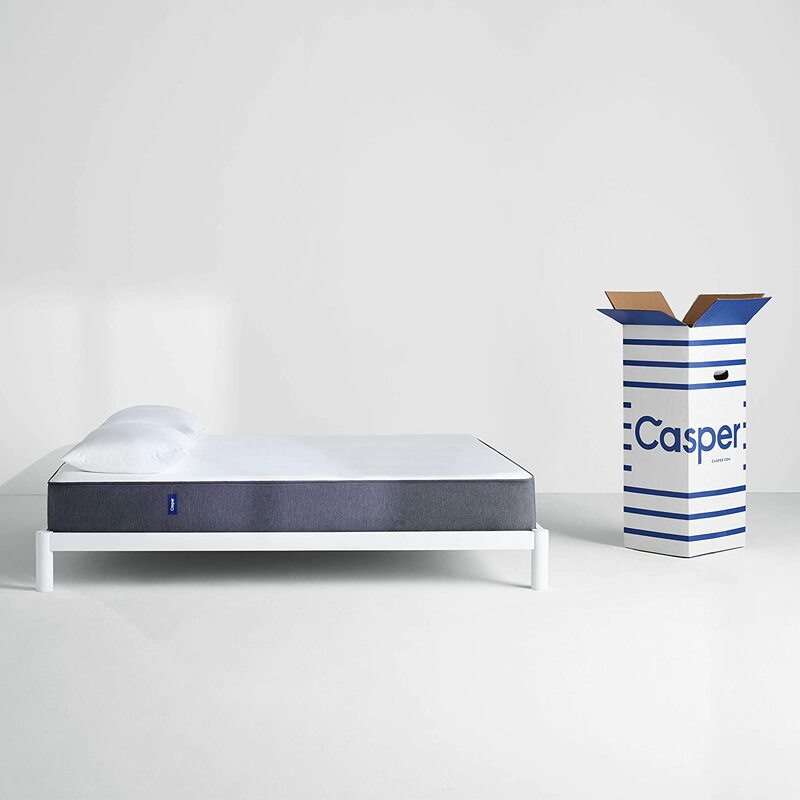 This mattress comes with everything necessary to improve sleep and performance for matches. It's the complete features that make it my top four, though its price isn't the best. 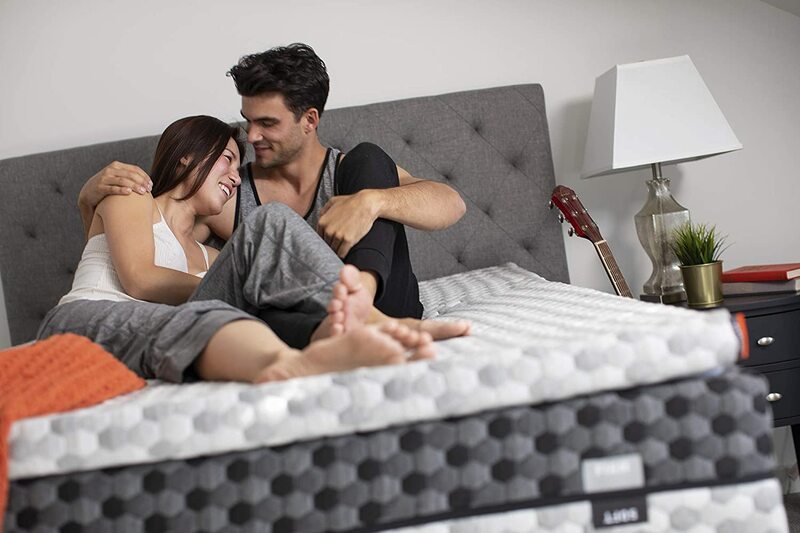 It has the four-layer foam construction, which gives the mattress durability and support. It's surprising how well it conforms to your body! It takes time getting used to the firmness, but once you do, you'll notice how good it feels. After a few days, it's relieved pain for both my partner and me, even if we have different sleeping positions. Also, it's given me better sleep without feeling discomfort or heat! Besides some very minor issues and the price, you'll enjoy this product and the benefits it brings. For those who have extra bucks to spend and can splurge on a mattress, this is it. A mix of breathable and supportive, relieve pain well. 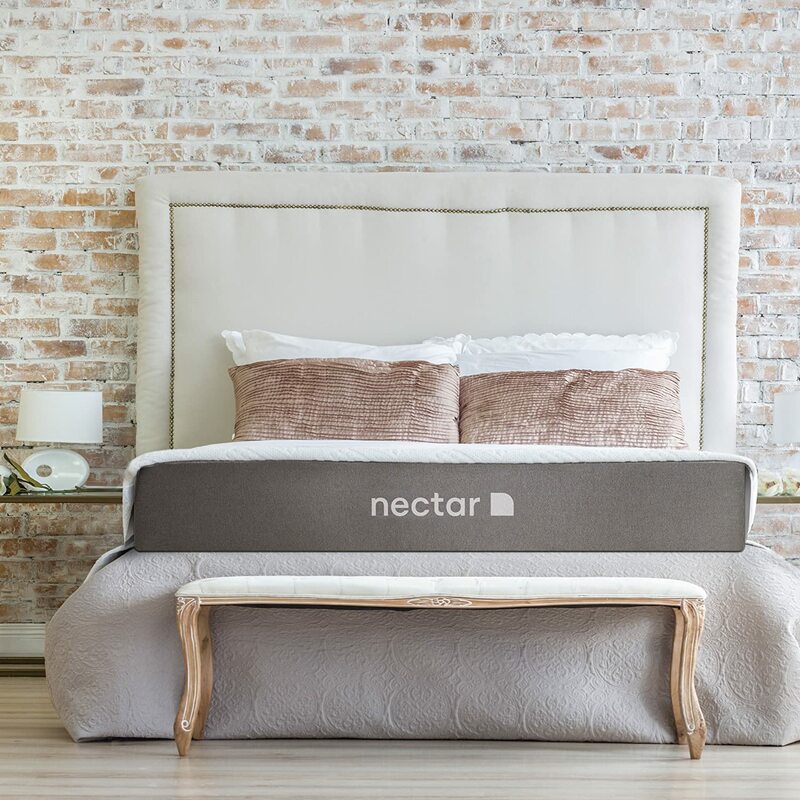 And finally the Nectar Mattress, which I love for the great features without the high price. It's made of memory foam with a gel layer for cooling and support, having the materials to remove pain. It regulates body temperature well, I haven't had hot flashes since I began using it. Yes, it isn't as long-lasting as other mattresses, and it doesn't completely remove all pain. But, it does the job in helping me wake up with less pain and improves sleep well as an athlete. The mattress also comes with a guarantee and warranty to ensure you get what you pay for. I sleep straight and without problems with heat or intense pain after training with it! Because of its simple yet useful features, it's a great investment for athletes on a budget. As an athlete, muscle recovery is as important as performance while training. Because of that, you need to have healthy ways of relieving muscles, resting and sleeping well. With a good mattress, you can have comfort and less pain, helping your muscles for the future! 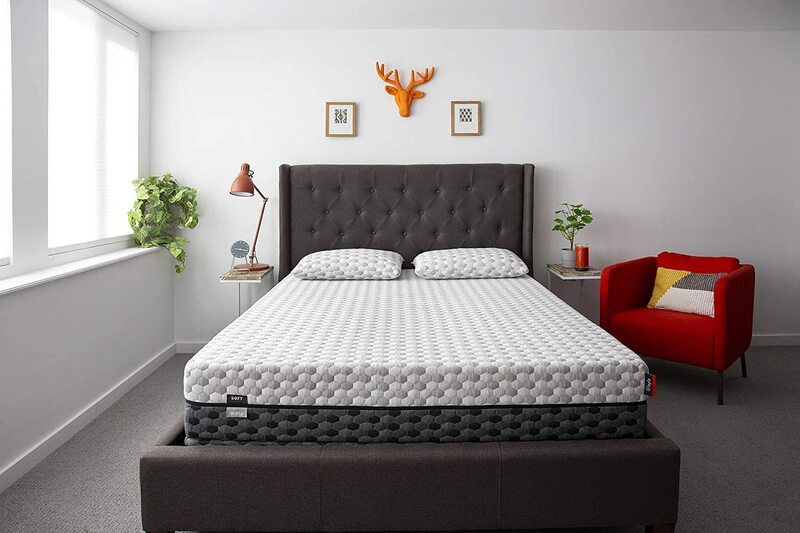 The Bear Mattress is one of the perfect examples of products to help with your sleep and muscles. It's one of the most pressure-relieving mattresses thanks to its contouring properties. After a week of using it, and I experienced less pain and woke up feeling fresher! Besides the foam technology Bear Mattress adds, it also has the cooling system. That way, I didn't have any trouble with hot flashes or night sweats, and neither did my partner. The way my muscles feel after sleeping is now more amazing, the main reason why I recommend it! I hope my purchasing guide on the best mattresses for athletes gave you an idea on what you should get. So if you want to start getting better sleep and muscles, check any of these brands now! Do you have any questions and reviews on the best mattresses for athletes to share? Then do share your thoughts below, I appreciate all your comments! Best Mattress for Sleep Apnea: 5 Choices You Need to Consider! Best Mattress For Seniors: 5 Plush Options to Help Improve Sleep! Best RV Mattress: 5 Choices for Amazing Sleep When On the Road! Best Futon Mattress: Top Best 5 Brands to Trust for Your Guests! Best Mattress for Bunk Beds: Top 5 Options and The Purchasing Guide!